Is MGM Resorts International (NYSE:MGM) a buy right now? The smart money is getting more optimistic. The number of bullish hedge fund positions went up by 3 lately. In the eyes of most market participants, hedge funds are seen as worthless, outdated investment tools of years past. While there are more than 8000 funds trading today, we look at the upper echelon of this club, close to 450 funds. It is widely believed that this group has its hands on the majority of the hedge fund industry’s total capital, and by tracking their highest performing investments, we have figured out a number of investment strategies that have historically beaten the market. Our small-cap hedge fund strategy outperformed the S&P 500 index by 18 percentage points annually for a decade in our back tests, and since we’ve started sharing our picks with our subscribers at the end of August 2012, we have outclassed the S&P 500 index by 24 percentage points in 7 months (check out a sample of our picks). Equally as beneficial, bullish insider trading activity is a second way to break down the financial markets. Obviously, there are a number of incentives for an upper level exec to get rid of shares of his or her company, but only one, very clear reason why they would buy. Several academic studies have demonstrated the useful potential of this method if investors know where to look (learn more here). Now, let’s take a look at the recent action regarding MGM Resorts International (NYSE:MGM). At the end of the fourth quarter, a total of 29 of the hedge funds we track were long in this stock, a change of 12% from the third quarter. With hedgies’ positions undergoing their usual ebb and flow, there exists a select group of key hedge fund managers who were upping their stakes substantially. When looking at the hedgies we track, Paulson & Co, managed by John Paulson, holds the biggest position in MGM Resorts International (NYSE:MGM). Paulson & Co has a $438.2 million position in the stock, comprising 2.7% of its 13F portfolio. Coming in second is David Tepper of Appaloosa Management LP, with a $80.3 million position; 1.7% of its 13F portfolio is allocated to the company. Some other hedgies with similar optimism include Richard Perry’s Perry Capital, Brian J. Higgins’s King Street Capital and Ken Griffin’s Citadel Investment Group. As aggregate interest increased, specific money managers were leading the bulls’ herd. Perry Capital, managed by Richard Perry, created the biggest position in MGM Resorts International (NYSE:MGM). Perry Capital had 51.5 million invested in the company at the end of the quarter. Brian J. Higgins’s King Street Capital also made a $46.6 million investment in the stock during the quarter. The other funds with brand new MGM positions are Dmitry Balyasny’s Balyasny Asset Management, Bruce J. Richards and Louis Hanover’s Marathon Asset Management, and Steven Tananbaum’s GoldenTree Asset Management. How are insiders trading MGM Resorts International (NYSE:MGM)? Insider buying is most useful when the company in focus has experienced transactions within the past six months. Over the last half-year time frame, MGM Resorts International (NYSE:MGM) has seen zero unique insiders purchasing, and zero insider sales (see the details of insider trades here). 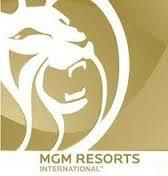 Let’s also review hedge fund and insider activity in other stocks similar to MGM Resorts International (NYSE:MGM). These stocks are Vail Resorts, Inc. (NYSE:MTN), Melco Crown Entertainment Ltd (ADR) (NASDAQ:MPEL), Wynn Resorts, Limited (NASDAQ:WYNN), Penn National Gaming, Inc (NASDAQ:PENN), and Royal Caribbean Cruises Ltd. (NYSE:RCL). This group of stocks are in the resorts & casinos industry and their market caps match MGM’s market cap.